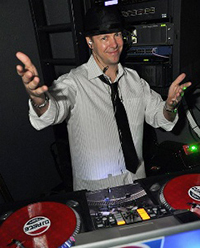 This DJ takes great pride in his professionalism and attention to detail that accompanies every wedding he manages. He's not only a DJ but also a Master of Ceremonies, Event Coordinator, and Music Specialist. If you are looking for a customized, personal, and professional DJ, look no further.